Check out our GTC Fansite on Facebook! Welcome To Guitar Tech Corner! 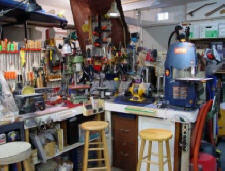 Guitar Tech Corner is a Ventura County repair center specializing in the repair of guitars, basses, mandolins and other stringed instruments, providing the absolute finest quality craftsmanship, adjustments and custom work. Click here to see a Custom Les Paul completely restored! 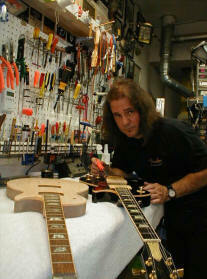 Tracy Longo has been repairing and restoring guitars for over 26 years. 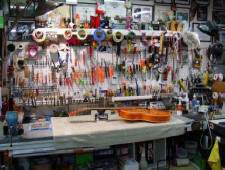 With a total of over 11,000 instruments repaired by him personally, Tracy has an experience level that is hard to find. He is a member of the Guild Of American Luthiers and his repair tips have been published in 2 separate books published internationally by Stewart MacDonald Guitar Supply. Not only does he repair, but he also has been a professional guitar player in a number of touring acts and was a founding member of Led Zepagain, the ultimate Zeppelin tribute band, performing as Jimmy Page for over 10 years. He started playing at the age 15 and took to hot rodding his own instruments wh en he was 17. 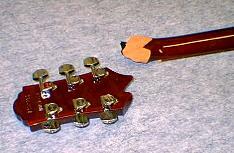 For over 14 years he was a Gold and "A" level service center for more than 17 of the major guitar companies. 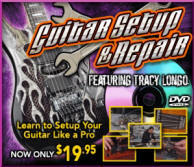 Now Tracy has a best selling guitar set-up and repair DVD that was voted "One of the most essential DVD's to own" by Guitar World magazine, and is sold through "Metal Method Productions, a long established learning resource since the 80's.